circa 1866, with 32 1/2in. sighted barrel, the action marked 'PEABODY'S PAT. / JULY. 22. 1862, MAN'F'D BY / PROVIDENCE TOOL CO. / PROV. 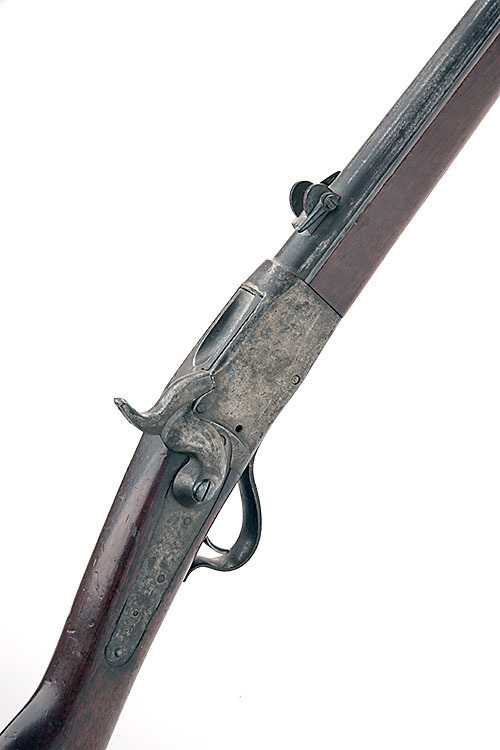 R.I.' on the left side, plain back-action lock, walnut three-quarter stock, iron mounts including two sprung barrel-bands, iron sling mounts, under-barrel cleaning rod, small losses. * Please note this item is subject to 5% VAT on the hammer price.